This isn't the first time the media has censored itself while reporting about India's richest family. 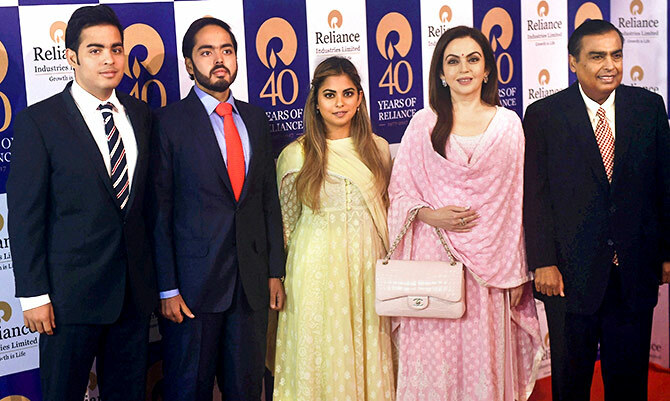 New Delhi: On Mukesh Ambani-led Reliance Industries Limited’s 40th anniversary, the Ambanis hosted a gala event where the young scions of India’s richest family took the stage to give the world a glimpse into the future of the company. Followed by the senior Ambani’s speech, his youngest son Anant, 22, who over the last three years has been formally inducted into his father’s business empire along with siblings Isha and Akash, delivered a spirited performance – complete with air punches – outlining his devotion to the “Reliance family”. In doing so, he also ended up giving Indian social media users their ‘first viral meme of 2018’. People on Twitter picked his speech apart and made fun of his style of speaking. Pop culture websites like ScoopWhoop, Storypick and Times Group’s MensXP, which curate viral content, were quick to pick up the ‘trending story’. However, these ‘viral’ stories died a quick death as the publications quietly took them down without offering any explanation. While many made fun of the young Ambani, some also pointed out that the 22-year-old has suffered his share of health issues. Despite being suffering from obesity and severe asthma; #AnantAmbani fought with himself, he work hard, he tried, didn’t lose hope and delivered the speech in front of Lakhs of people. 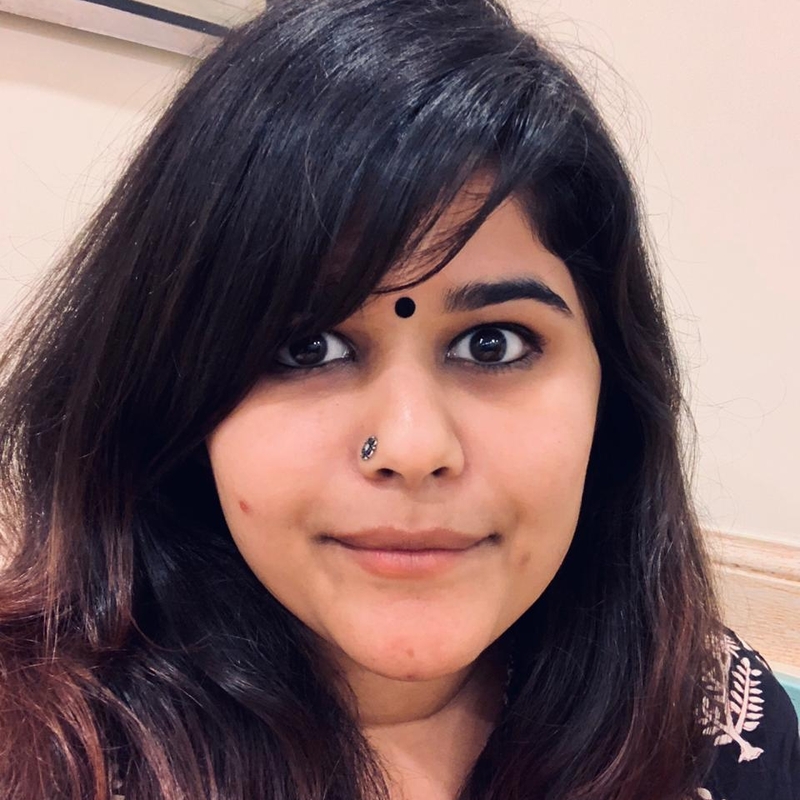 While ScoopWhoop and MensXP curated tweets, Storypick’s Rachna Srivastava was actually sympathetic towards Anant and urged her readers to stop mocking the young Ambani. “To be completely honest, I get it that we all live in social world where we’re on a constant lookout for the next meme to laugh or make some that others can laugh at. We tend to forget what it comes at the expense of? There are millions of memes circling the web everyday, and we laugh at it without thinking twice about it. I’m no saint, even I contributed to the mocking without knowing the truth and so did the people around me,” she wrote. “And, I shall like to repeat something I have said before that we all have to be careful about the kind of memes we make or laugh at or react to. Because, for our fleeting moments of laughter you never know who might be suffering and being victimised. But I am sure, people will all stop once we realise that it’s wrong. We all make mistakes, and it’s never too late to make amends,” Srivastava added. 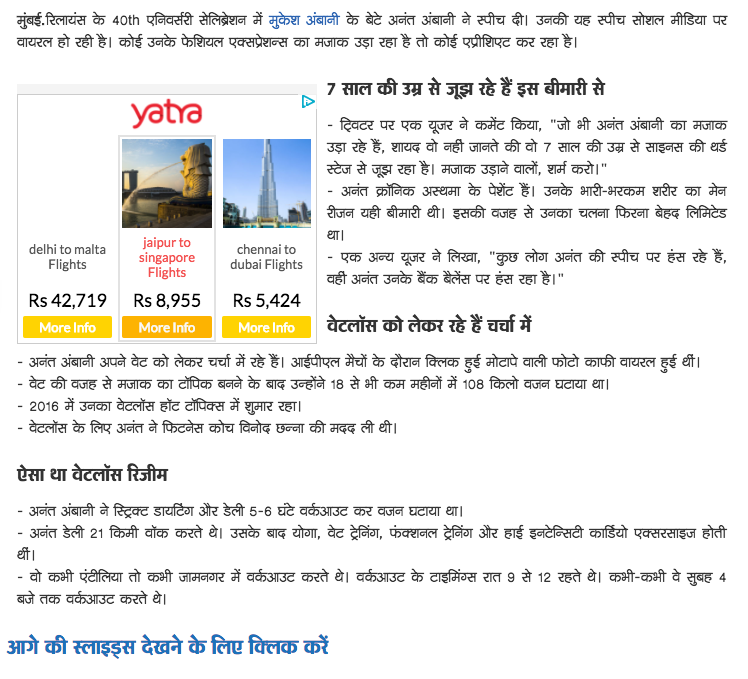 Dainik Bhaskar, instead of taking down its story, tweaked it and removed the paragraph about Anant’s illness. Screenshot of original Dainik Bhaskar story on Anant Ambani. While it is not unheard of for individual media organisations around the world to rethink a particular story after publication and retract it – whether on factual grounds or after an editorial re-evaluation prompted by complaints of bad taste, offence caused or legal action – an across-the-board rethink is highly unusual. It is also customary to inform readers of the reason for the taking down of any published content, though this norm is rarely followed by the big media in India. In the present case, too, none of the media organisations that originally ran stories on the younger Ambani and then took them down has offered any public explanation. The Wire sent questionnaires to the editors of these publications and this article will be updated if and when they respond. Ironically, India Today group’s DailyO, which carried a piece mocking other sites for taking down their stories, later took an ‘editorial decision’ to pull down its own article. “Our story was based on a tweet that claimed that Anant Ambani was suffering from an ailment and hence the peculiar speaking habit. Our staff author didn’t realise that the tweet was from a comic account and in fact was a sarcastic jab. When we realised the mistake, we pulled down the article for obvious reasons; to not spread fake news. No one has forced us to pull down the article,” claimed Storypick. 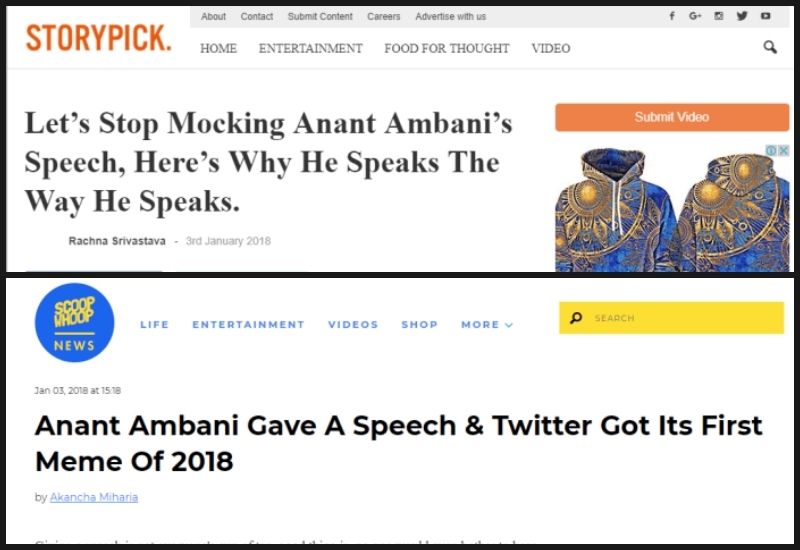 Among the other publications which pulled down their stories on Anant Ambani’s speech were Nyoooz.com, The Social Monk, Social Samosa and International Business Times, reported AltNews.in. While it would be unfair to assume that there was any pressure from the Reliance group, this isn’t the first time the Indian media has censored itself while reporting about the Ambanis. 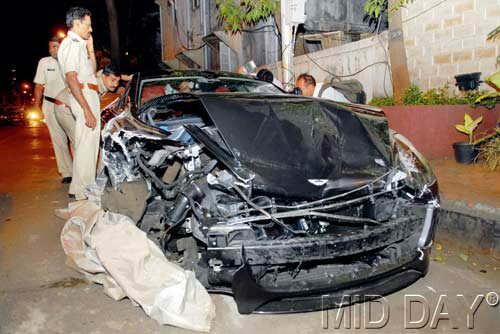 In December 2013, an over-speeding Aston Martin Rapide, owned by Reliance Ports, met with an accident in Mumbai when it crashed into an Audi Saloon and a Toyota Corolla around midnight. While a Reliance spokesperson claimed that the car was being driven by a company driver at the time of the accident, multiple witnesses claimed that the driver was actually a young clean-shaven man and not the middle-aged moustached driver that presented himself at the police station a day after the accident and claimed responsibility. The implications were clear. The driver of the Aston Martin tried to flee, but the car stalled a little distance ahead. “In seconds, there was a swarm of security men around the car and they bundled the driver into one of the SUVs and sped off,” a witness told Mid-Day. The CCTV footage was also inconclusive. While most media houses shied away from reporting the incident allegedly involving Mukesh Ambani’s elder son, Akash, the Hindustan Times reported the accident without mentioning Reliance Industries but later took down the story from its website. The Times of India, too, quietly pulled down its original copy mentioning the Reliance connection and later published an updated version. Predictably TV channels, many of which are based in Mumbai, also ignored the story. Meanwhile, the witnesses modified their original statements and the two car owners involved in the accident ended up with brand new cars. The Audi owner claimed that she was compensated by the insurance company, but according to a newspaper report, the insurance companies denied settling either of the claims. According to a report published in The Caravan, five Indian news media companies — NDTV, News Nation, India TV, News24 and Network18 — are either indebted to Mukesh Ambani or to Mahendra Nahata, an industrialist and associate of Ambani’s, who is also on the board of Reliance’s new telecom venture, Reliance Jio. Even without its clout as a media owner, Reliance has been successful in keeping negative coverage of its business affairs out of most newspapers and television channels. The controversy surrounding its KG basin gas operations, for example, received scant media attention.